MUNICH -- Audi plans to begin production in Russia as premium-car sales take off in the country. The automaker will start building cars at parent Volkswagen Group's factory in Kaluga, 160km south of Moscow, in 2013. Audi said demand for its vehicles is rising strongly in Russia. "This highlights the brand's excellent future prospects in this market," a spokeswoman told Automotive News Europe in an e-mailed response to questions. Audi CEO Rupert Stadler said at the Moscow auto show last week that the brand will build the A4 and A6 cars, as well as Q5 and Q7 SUVs, in Kaluga. He did not specify how many vehicles Audi will build, but media reports said initial annual production will be 10,000 units. 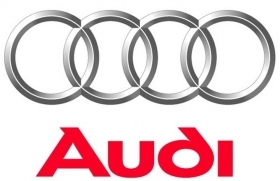 Audi sales in Russia increased 40 percent to 19,320 in the first seven months compared with the same period in 2011, according to the Moscow-based Association of European Businesses (AEB). Rival BMW saw its Russia sales rise 30 percent sales to 19,389 while Mercedes-Benz's sales grew 27 percent to 19,853. Premium automakers are targeting Russia's growing class of wealthy consumers. Fueled by an economy based on the country's abundant natural resources, the number of households able to afford luxury goods is forecast to rise to 13 million by 2025 from 7 million in 2010, according to consulting company Capgemini. Porsche plans to double the number of dealers in Russia to 36 over the next six years. Audi is adding showrooms as it targets 30,000 car deliveries this year, double its sales from 2009. BMW will add about 20 outlets by 2018, a third more than today. Russia is poised to surpass Germany as Europe's largest auto market by 2014, with sales rising to 3.4 million vehicles, according to the Russian Industry Ministry. The AEB expects Russian vehicle sales to grow by 8 percent to 2.85 million this year.